Some people choose to walk on the tarmac of life. Everything must be level and smooth, even if there could be a pothole sometimes. But others want to walk on the wild side- they prefer the unpaved roads of life. 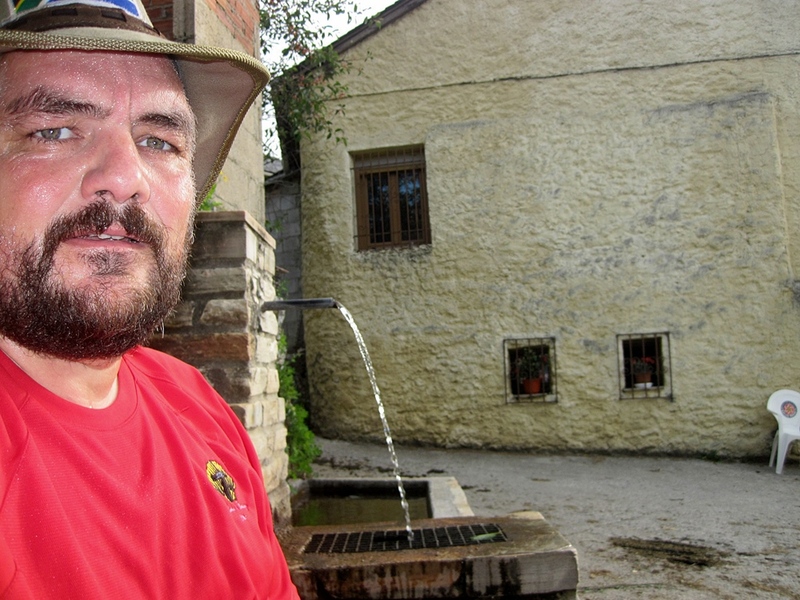 This photo was taken on the last stretch of the French Route just outside Santiago de Campostela on the Camino. And I think this was always the 2 choices in my life: the easy way, or the hard way? Sometimes the road of life is full of rocks and extremely slippery. And when that road is going downhill fast, and you carry a heavy burden, you can really fall on your face. But: if the road only was easy, how would you appreciate it when the good times come? The pain and the sweat and tears makes even the drink of water at the end of the road such a heavenly blessing! 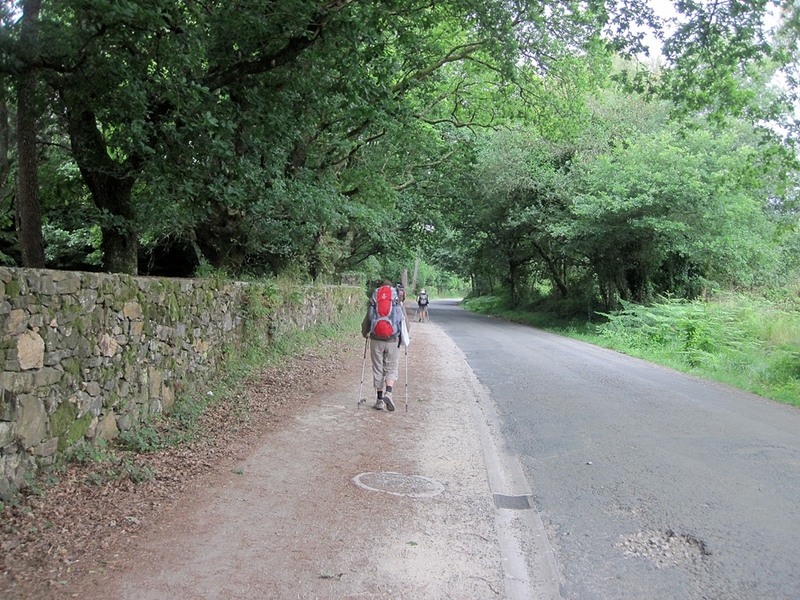 This entry was tagged CAmino de Santiago, Daily prompt, pain, postaday, Spain, Travel. Bookmark the permalink. Oh how i remember that road to El Acebo. Was so happy to arrive! Such beautiful views from the ridge of the walk it was bittersweet as I didn’t want them to end, but my legs were happy to stop for the night! Well my friend we all know that nothing of importance in life comes easily. But the only way we can become strong is by having to walk on the rocky road of life when needed. You have come a long way so keep on walking- you are an inspiration! 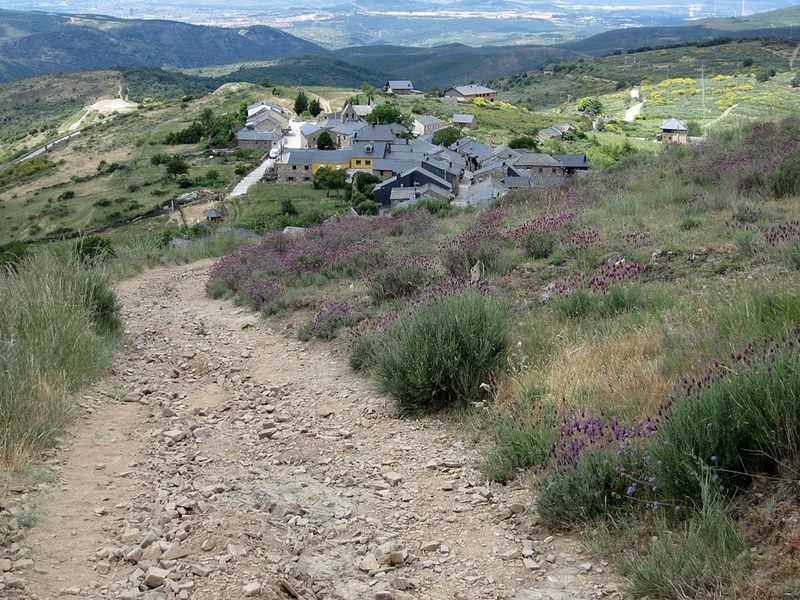 Did you consciously notice the flowers alongside the rocky, less travelled road? We tend to go so fast on the easy roads that we miss the beautiful things for free around us. Pity…. I always miss the turn off to the easy road as well but I have seemed to end up exactly where I am meant to me. Very well written. Any road we take has something important to teach us! The water is sweet and cold.